Here at Westover Vets we have a team of seven friendly, caring and experienced vets. We are able to offer telephone advice and reassurance for those of you that are new to keeping livestock, and assist you with the rules and regulations associated with this. We also host daytime and evening meetings on animal husbandry, worming and general health and disease. We operate our own out of hours emergency service, so whatever time of the day or night you may need us you will always see a friendly face. We run 9 area visits each week where we offer a discounted visit charge to clients who have pre-booked for routine work. In return for the convenience of us planning our calls in the most efficient and time-friendly way, we reduce the call out to £29.38 inc VAT. Please see the map to work out which area you are in, or give us a call at the surgery on 01603 899930 and we can advise you as to what day we are in your area. Please have a read of our terms and conditions to check that being on an area day will suit you. Game birds – we offer annual routine examinations for pheasants, partridges and ducks. 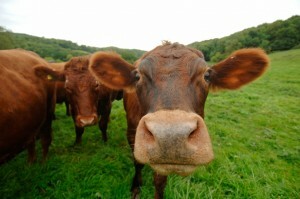 If required we can also provide medicated feed prescriptions. Poultry and Fowl –We offer advice on worming and parasite control as well as routine vaccination should this be necessary. If your animal becomes unwell we are able to offer an examination here at the surgery in Hainford, or if it is easier, in the comfort of your own home. All our vets are experienced in dealing with all types of birds. In particular Elliott Simpson has a particular interest in birds of prey and has spent a lot of time with the Norfolk Seal and Bird Trust, as well as Tom Hume who is listed in the ‘Fancy Fowl’ magazine as a poultry enthusiast. Should you be unfortunate enough to suffer an outbreak of disease where you have a large number of sick or dying birds, we are able to offer a post-mortem examination in order to diagnose the problem and assist you in providing the most appropriate treatment. 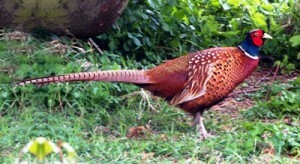 Please see our Avian Page on the Zoo and Exotics section for more information. Sheep –we deal with all types of sheep farmers, from large commercial flocks of over 1000 ewes right down to those with only two or three sheep living the good life on a smallholding. 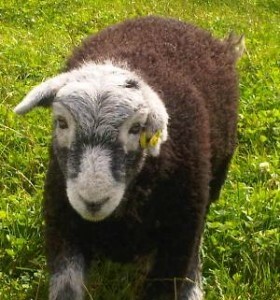 As a result of this we are able to help you with all types of management and husbandry queries, such as lambing advice, shearing, foot trimming, handling systems as well as veterinary advice relating to vaccination, worming, ectoparasites, fly strike and general ill health (mastitis, lameness, pneumonia etc). We can advise you on breeding synchronisation programmes for early breeding of ewes in January to ensure fat spring lambs, and can also perform pregnancy diagnosis (best to be done between 45-60 days gestation). We are also able to advise you on different health accreditation schemes, in particular Maedi-Visna accreditation which requires blood sampling to check your disease status. 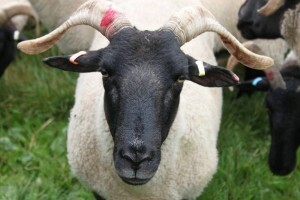 This is particularly important if you wish to show your sheep. Goats –Similar to our sheep clients, we deal with large milking goat herds down to the pet goats in your garden. We can offer advice relating to husbandry, kidding, vaccination, worming, foot trimming and general ill health. We can also scan your goat for pregnancy, this is best done between 45-60 days gestation. In addition to this we offer a dis-budding service at the practice for removal of horn buds, this should be done ideally when the goat kid is less than 2-3 days old. The very latest it can be done is 10 days of age but we strongly recommend removal of horn buds at 2-3 days of age. We are also able to assist with CAE Accreditation and testing for those of you that wish to sell milk products from your herd. For seriously ill sheep, goats, lambs or kids we are also able to offer hospitalisation and intensive care at the practice in Hainford. We are able to provide intravenous fluid therapy (drip), blood and faecal testing, oxygenation and have the facilities and expertise to perform a number of operations. Pigs are a wonderful addition to any family; they are playful and intelligent as well as being a little bit mischievous! We are able to help you with basic husbandry as well as advise you on veterinary problems such as lameness, mastitis and general ill health. Owning a pig is a joy, that being said, they can also be difficult to handle and you should give proper consideration as to how you will handle or restrain your pig if they become sick. Farrowing crates are available; these can be used to restrain a pig for examination. The bare minimum handling requirements we would need would be a pig board and a solid sided pen or trailer. 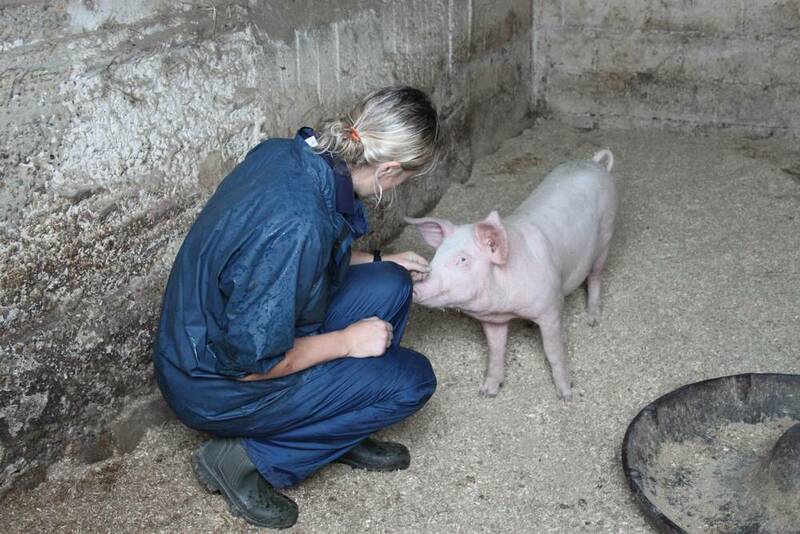 It is worth remembering that some pigs can weigh up to 200kg so they are not always cooperative patients! There is great pleasure to be taken from owning a herd of cattle, just ask Tom Hume, one of our vets, who is the proud owner of a small herd of Simmentals. 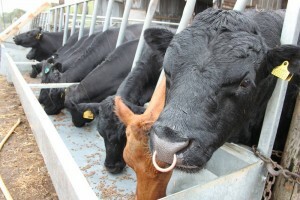 All our vets are very experienced in dealing with cattle and will be able to offer you a wealth of advice on general husbandry as well as veterinary advice. 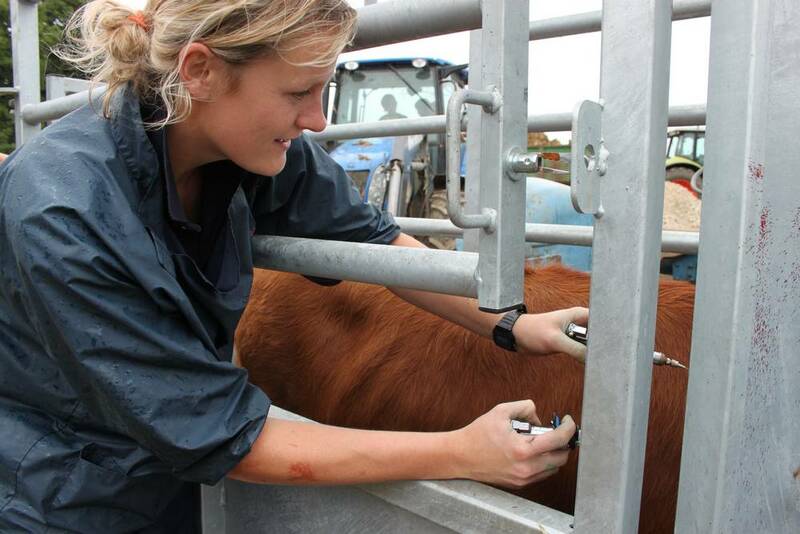 We can provide you with information about worming, vaccination and accreditation schemes (CHeCS Cattle Health Scheme) as well as common infectious diseases. We can also help you with fertility and reproduction, whether that is advice or assistance with artificial insemination, synchronisation, scanning for pregnancy, embryo transfer or help with a difficult calving. We have mobile battery powered ultrasound scanners which mean we are able to scan your cattle for pregnancy even when they are out to grass. We can also offer advice regarding vaccination and worming as well asthe post calving routine, with much emphasis on colostrum intake, retained cleansings and calf health. 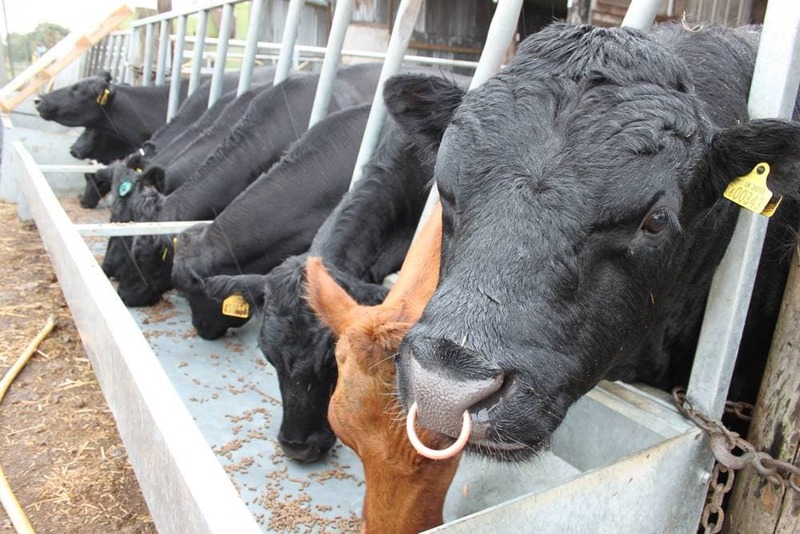 Particular attention should be paid to a handling system for your cattle; the average cow will weigh between 500-700kg so adequate restraint is vital in order for us to be able to examine your animal thoroughly and safely. A minimum requirement is either a crush and race system, or restraining a cow or calf on a halter and using a gate to push them against a wall. As with all farm machinery, your crush should be well maintained and oiled regularly. The veterinary surgeons in this practice recognise that in some instances a case may be outside their area of competence and will, therefore, refer it to a colleague who they are satisfied has additional skills to carry out the investigations or treatment involved. The client may not be clear on the distinction between a second opinion and a referral. A second opinion is merely for confirmation of diagnosis. A referral is for diagnosis and possible treatment in a case which requires specialist knowledge or facilities that are not available in this practice – after which the case will be referred back to our practice. It is practice policy to encourage clients to obtain a second opinion, either within the practice or at a neighbouring practice, if there is any doubt over a diagnosis. We can also recommend a number of referral centres and we will make the clinical records and any x-rays or laboratory tests, relevant to the case, available to the referring practice.